In one of the most beautiful picturesque villages of the wine route, 10 minutes from Colmar, the cottage "Ljl" is a cozy and authentic charming apartment with exposed beams! For a few days, 1 week, 1 month, you can move with ease thanks to the proximity of public transport and the train station and ten minutes walk. The rate is all inclusive from 2 nights minimum: free public parking, charges, cleaning, towels and bed linen provided (beds made on arrival). Free WIFI. You savor the true and traditional atmosphere of an Alsatian house where the harmonious combination of colors creates a comforting harmony, joyful and relaxing: traditional antique furniture or contemporary but still the warmth and authenticity of wood. It features a double bedroom with double bed and a sofa bed for 2 people in the living room, kitchen with dining area, a bathroom with bath and separate toilet. As you cross the 170 km of the road of wines North to the South (or vice versa! 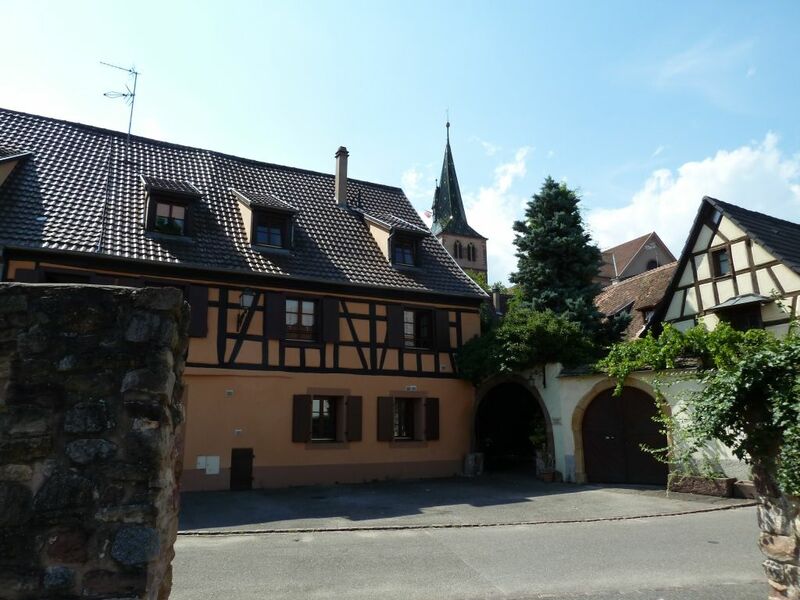 )Turckheim is a mandatory stop at 10 km from Colmar. In short: nothing better to immerse yourself in the traditions and atmosphere of a strong identity and region where the lifestyle and customs remained alive to the delight of residents and visitors.